The template may have to be adapted, as it most likely won’t fulfil your university’s or institute’s official thesis guidelines. If the official guidelines do not explicitly state it, do not use more than two different font sizes. In the template, I used the same font size throughout the title page (\Large). Tom, do you know how I can make the page numbers in an index to be hyperlinks please? I haven’t found any way of doing it online. Just use the linktoc=all option when you load the hyperref package. Also, hyperref has to be the last package loaded (exceptions). Finally, always typeset twice for changes to appear in the TOC. Hello Tom, I like how your template looks so clean and simple. 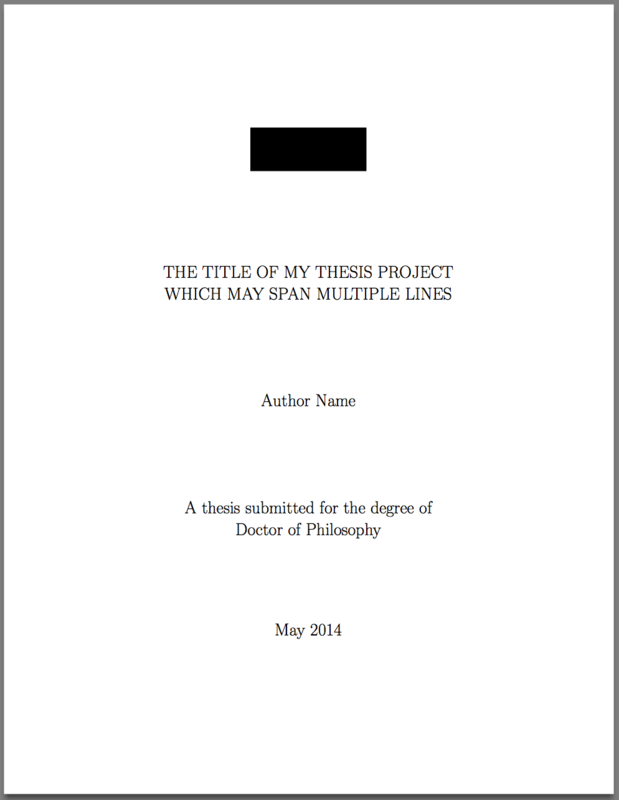 Do you think it is wise to use the “titlepage” environment for a title? It is used in the Wikibook about LaTeX (https://en.wikibooks.org/wiki/LaTeX/Title_Creation). I have really liked the templete. Can you please tell me where should I put the logo if I also want to mention the name of the university in the title page? Personally, I’d place the university name right before the year and keep the logo on top. There might be guidelines of your school defining the order. It seems that newgeometry does not work with version 4 of the geometry package. Is there another possibility to get the twoside margins? Interesting question. You could either update your version of geometry, \newgeometry was introduced in version 5, or use the gmeometric package instead. Nice, simple, clean template. Thanks for sharing. Unfortunately, when I use this, it adds page numbers (which I do not want) and also includes a blank first page. I have to use this as my preamble. How can I remove the page numbers and the blank first page. Is it possible to have two logos side by side on the cover page (joint phd and both univversities’ logos must appear). Any idea how I can implement this? Try the minipage environment as shown below. If this doesn’t work, please provide a minimal working example. Thanks, Tom. If the titlepage has different margin settings, which is quite often the case, i tend to recommend to include the titlepage as a standalone document with includepdf from pdfpages. A titlepage doesn’t change every few minutes and is quite static. Clompetely avoiding the newgeometry stuff. Thanks for your comment. I agree, that’s a neat way of keeping the titlepage separated from the rest of the document. Best, Tom. Please tell me how to write 4 to 5 authors in title page of a report? You can use the author macro as shown in the minimal working example below. Depending on how you want your complete author section output, there might be better ways. In some cases, it is even more painless to do the titlepage by hand.